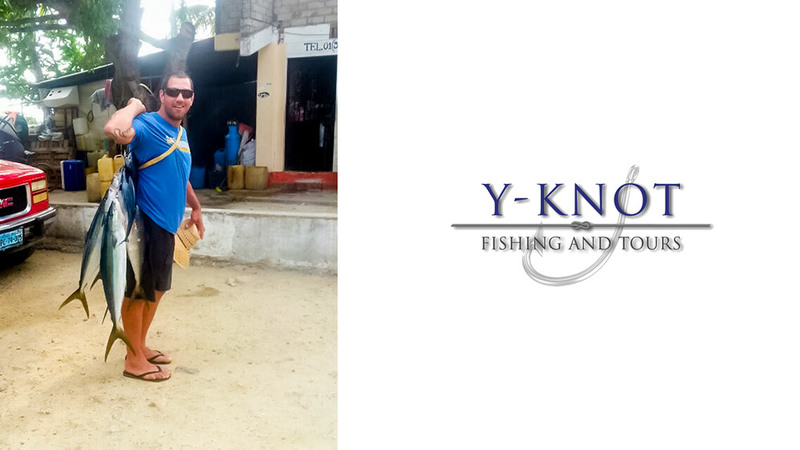 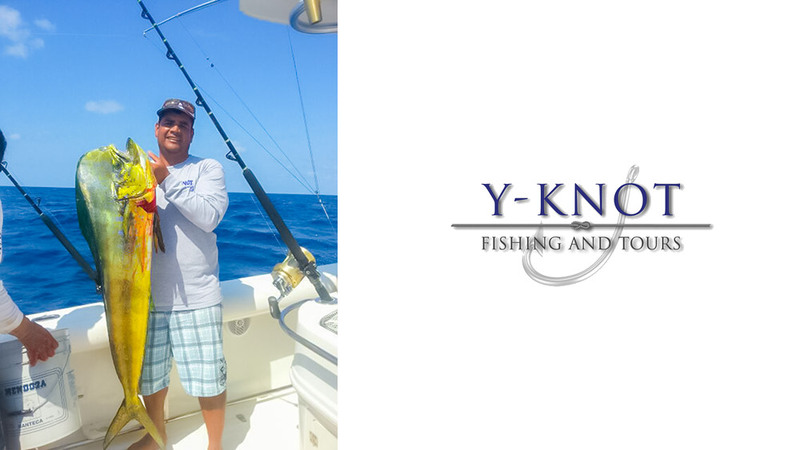 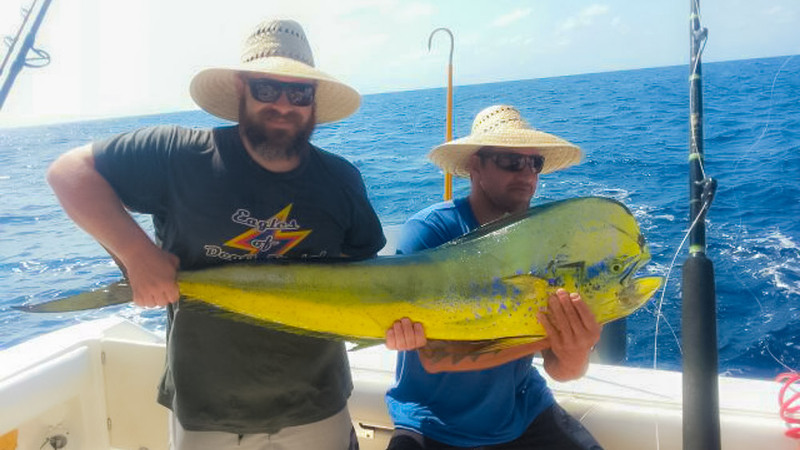 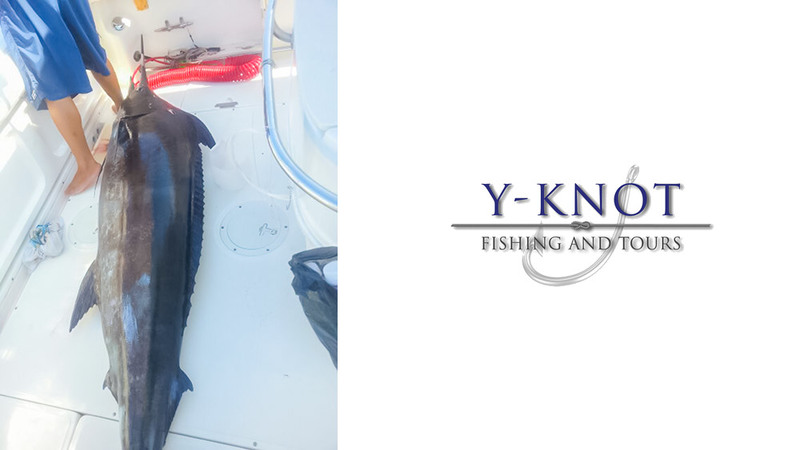 Y-Knot Fishing specializes in big game fishing and whale watching off the scenic coast of Punta de Mita. 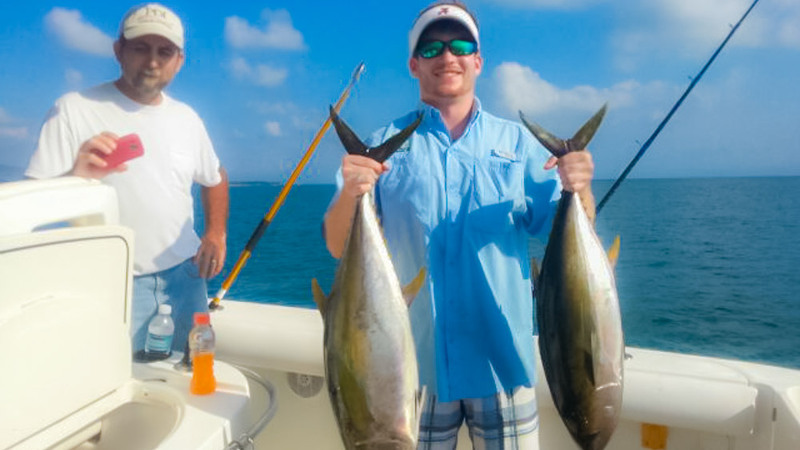 This area offers some of the best sport fishing in the world. 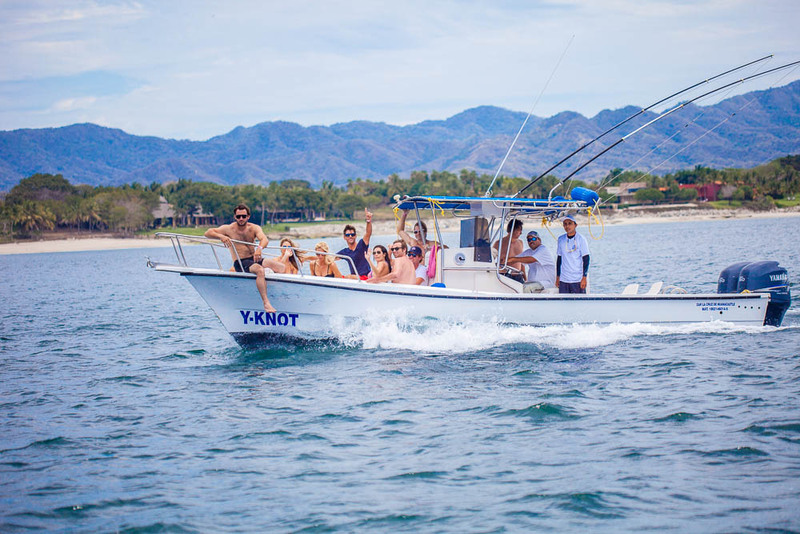 Punta Mita, also known as Punta de Mita or Mita, is a charming Mexican fishing village located 30 minutes drive northwest of Puerto Vallarta on the northwest point of Bahia de Banderas (The Bay of Flags). 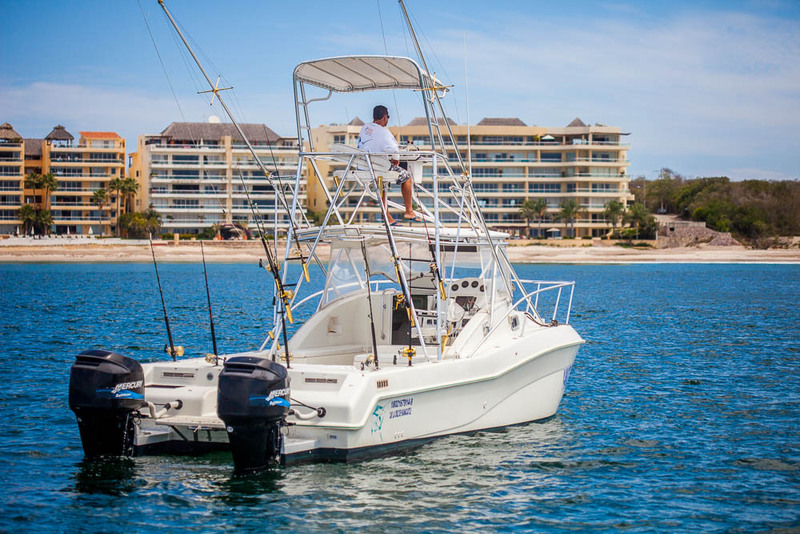 Punta Mita is renowned for its wildlife, its relaxing surf, and its laid back attitude. 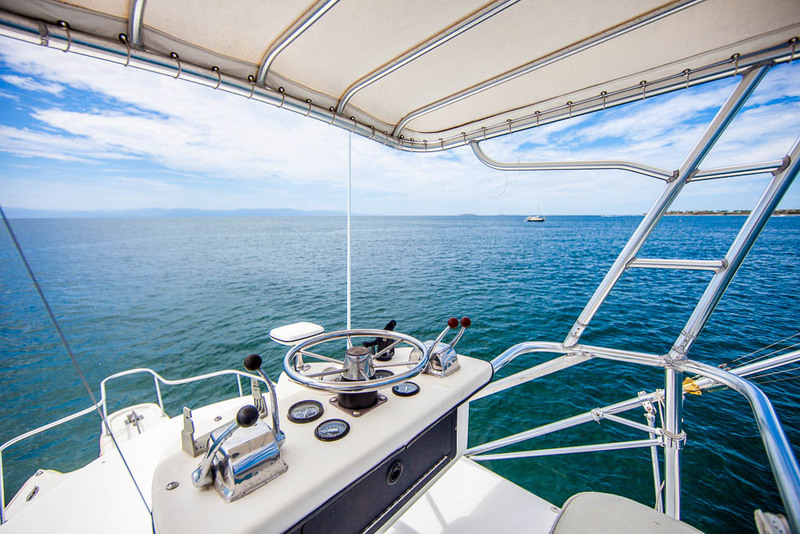 Punta de Mita lies at the northern tip of the 22-kilometre wide Bahía de Banderas, the third largest bay in the world, fringed by endless sandy beaches and backed by the jungly slopes of the Sierra Madre. 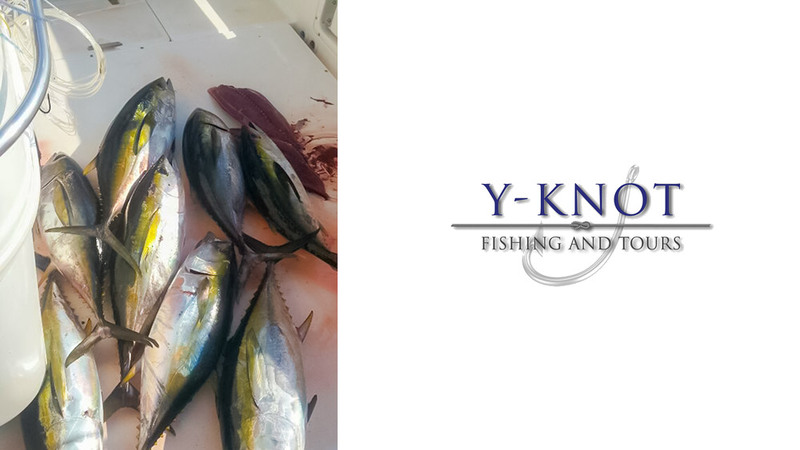 This bay was formed by an ancient volcano where the sunken rim is sometimes visible in the center of the bay. 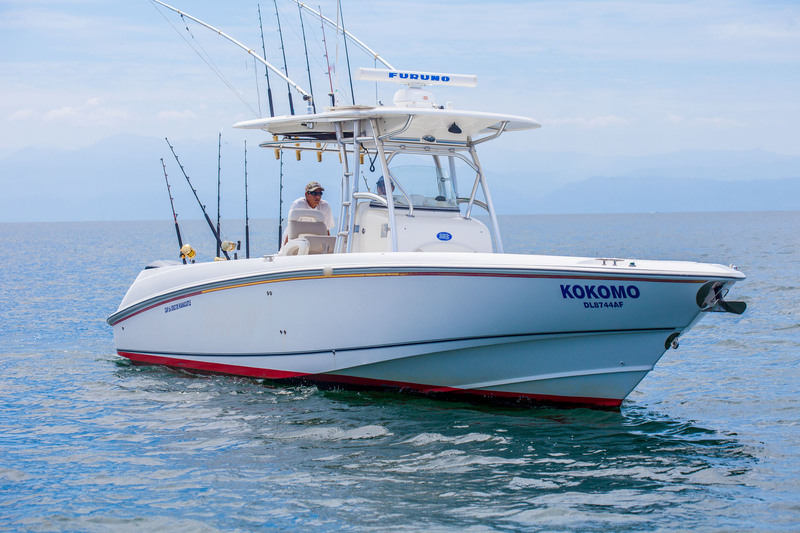 These waters abound with African Pompano, Amberjack, Black Marlin, Blue Marlin, Striped Marlin, Grouper, Mackerel, Mahi Mahi/Dorado, Roosterfish, Sailfish, Red Snapper, Wahoo, and Yellowfin Tuna and famous Cow Tuna up to 380 lbs making it a sportsman’s paradise. 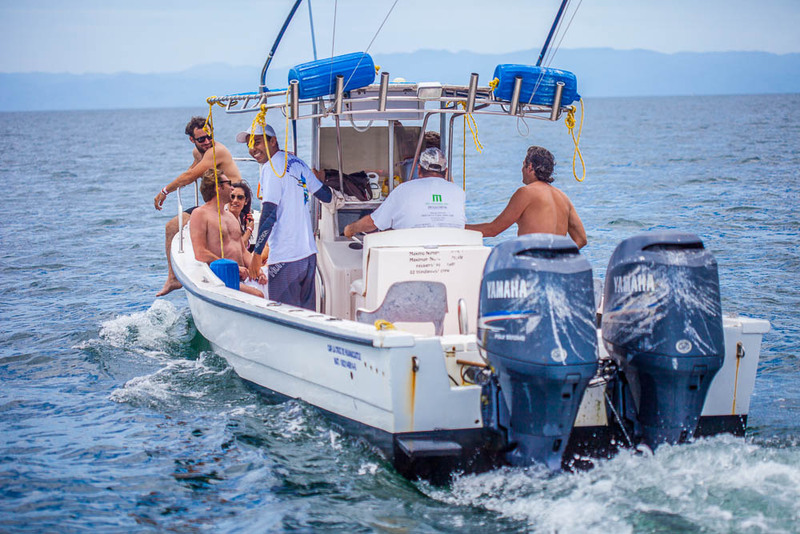 Banderas Bay is also an important breeding and birthing ground for the Humpback whale. 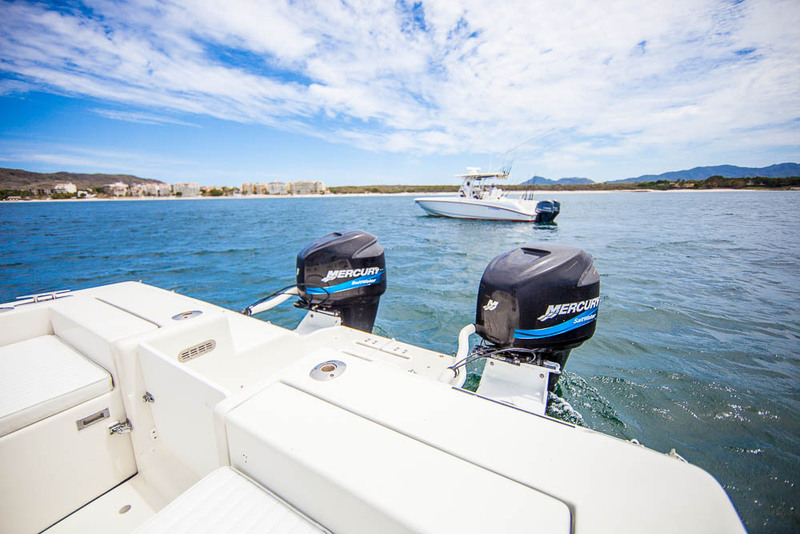 With 322 days a year of sunshine and an average temperature of 85°F these waters are definitely the place to be. 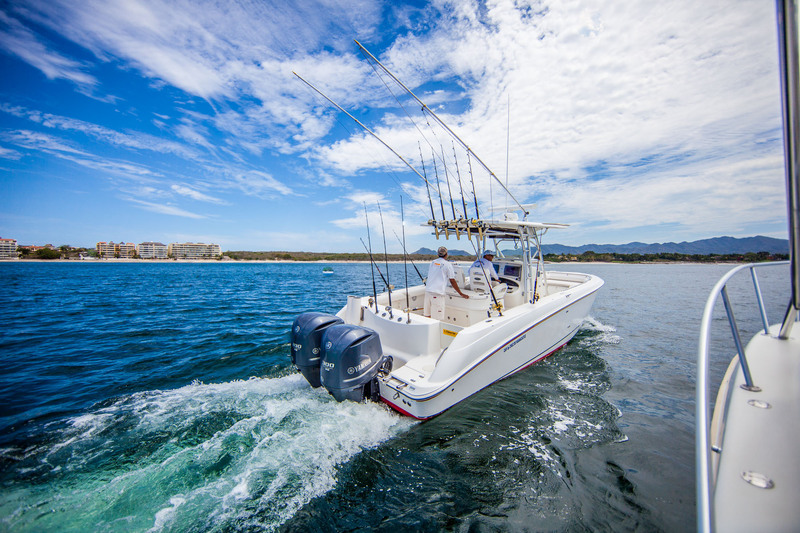 Brand new addition to our fishing fleet: Boston Whaler 32″ outrage, outfitted with twin Yamaha 300hp engines. 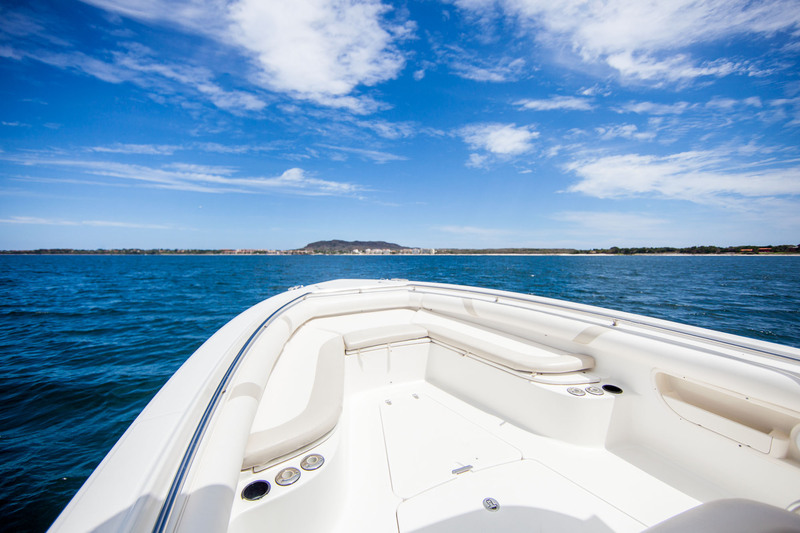 Punta de Mita is the ideal place from which to launch your trip. 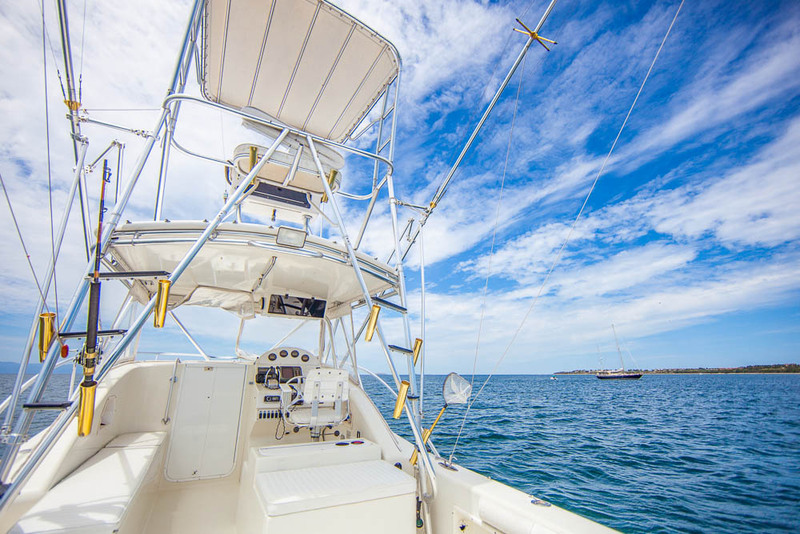 Punta Mita has been blessed with much closer proximity to the hot fishing spots of El Banco and Corbetena and the protected Marietas Islands than other nearby towns. 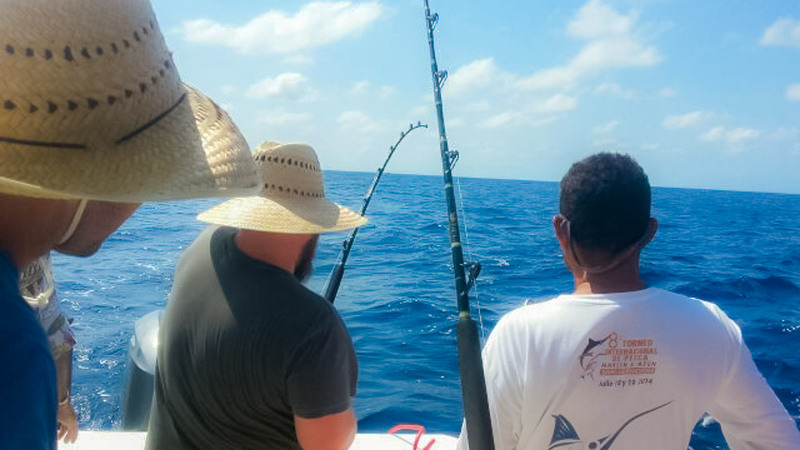 To fish in the open ocean, boats leaving from Puerto Vallarta or La Cruz must boat right by Punta Mita, and back to get to these abundant waters, And those leaving from Sayulita or San Pancho / San Francisco must also come to Punta Mita to get live bait before they go out. 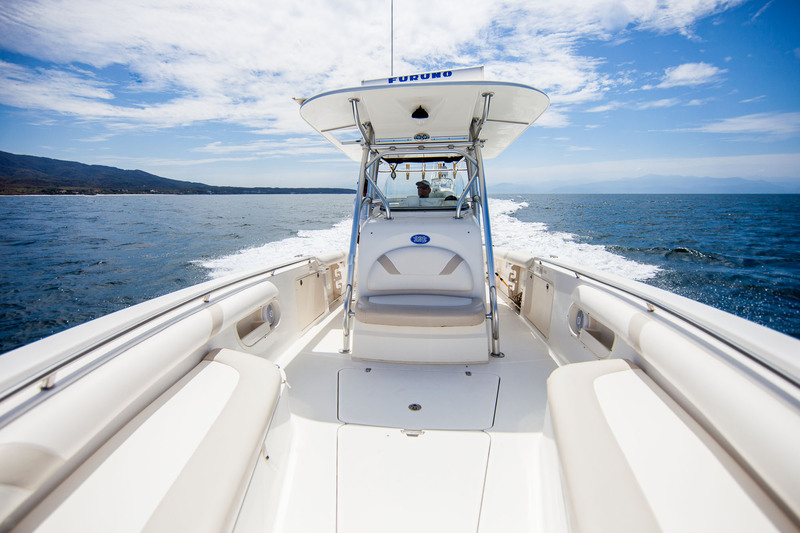 By launching from Mita, you’ll save two hours of travel time just getting to the ideal fishing spots. 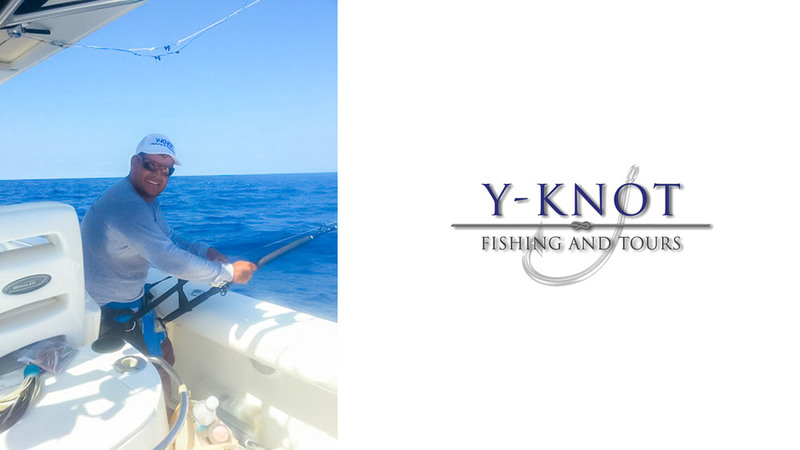 You’ll spend more of your time doing what you signed up for, and less time “commuting”. 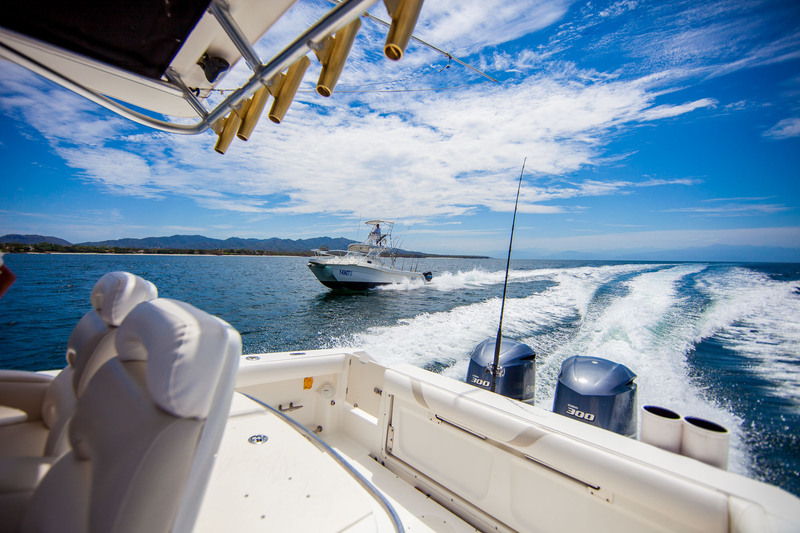 There’s also a good chance you’ll really enjoy the much more laid back atmosphere of Punta de Mita when you’ve come back in for the day.